It was the Illinois State Fair. 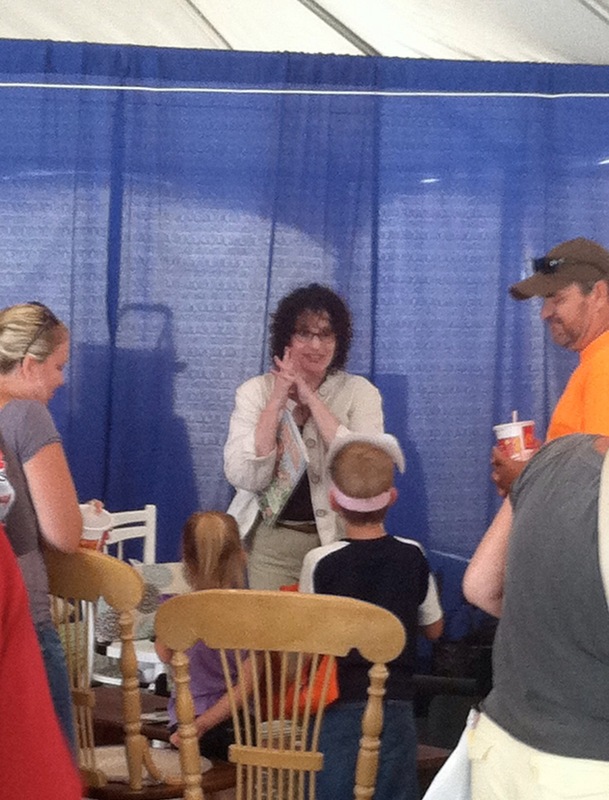 I was a guest in the Lt. Governor’s tent, and got to know some of the Illinois Reads professionals. 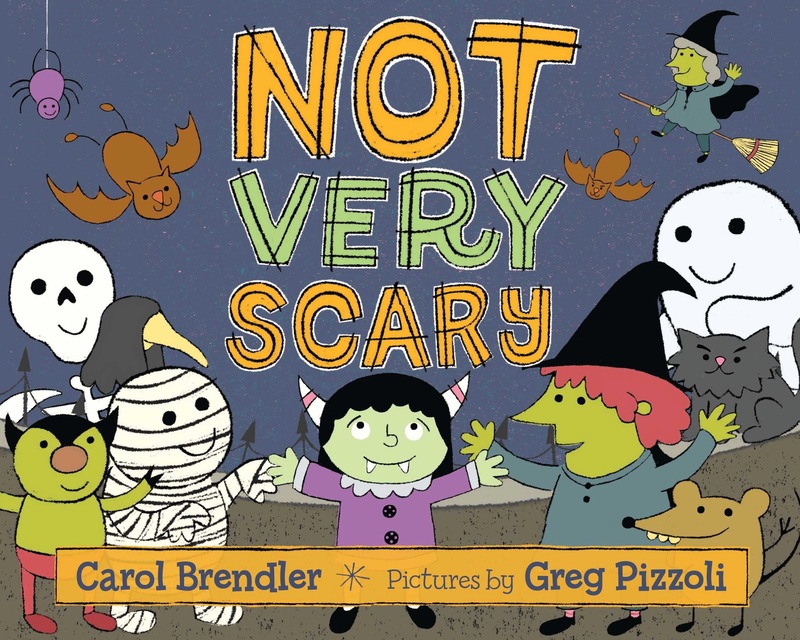 Also, I had the pleasure of meeting and chatting with author Joan Bauer! Later that day, I ate one corn dog, one strawberry crepe, and a root beer float. Then I didn’t feel so good for a while. Visitors to the tent stop to chat. 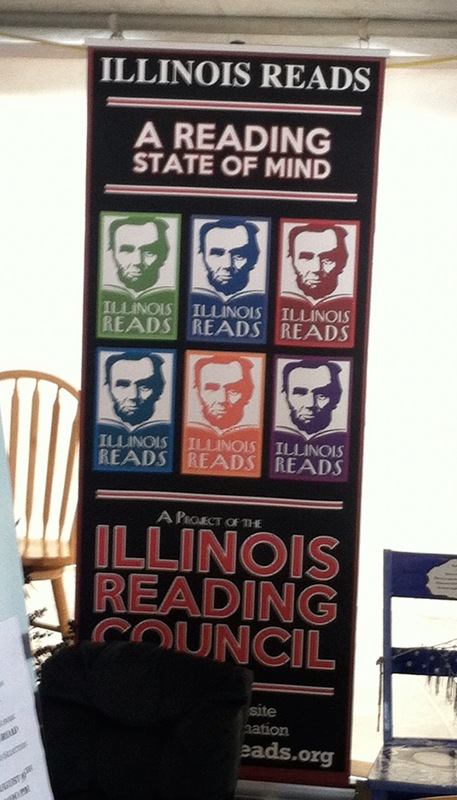 This is the second year of the Illinois Reading Council’s statewide program. They had a photo booth for fairgoers to make a memory. Here, I pose with Julie Hoffman, one of the brilliant and dedicated IRC Illinois Reads committee members. 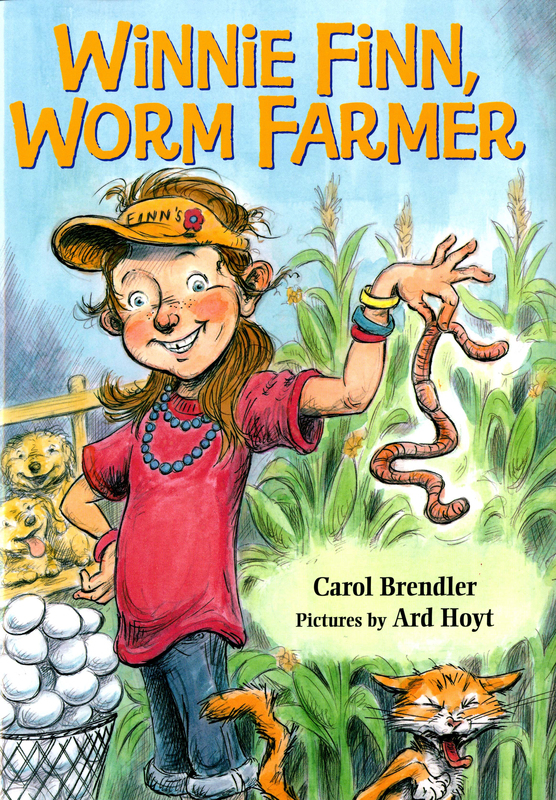 I read WINNIE FINN, WORM FARMER probably four or five times that afternoon! 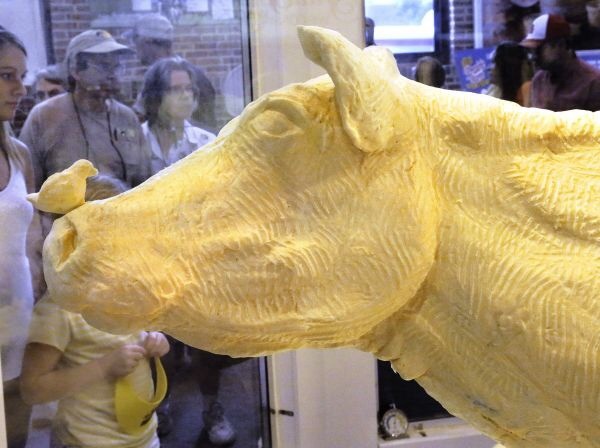 A Life-Sized Butter Cow! Also, Me. On Saturday I get to appear at the Illinois State Fair along with the traditional butter cow, dueling banjos, and costumed sheep! (Not at the same time or tent, but still.) Won’t you stop in and say hello? 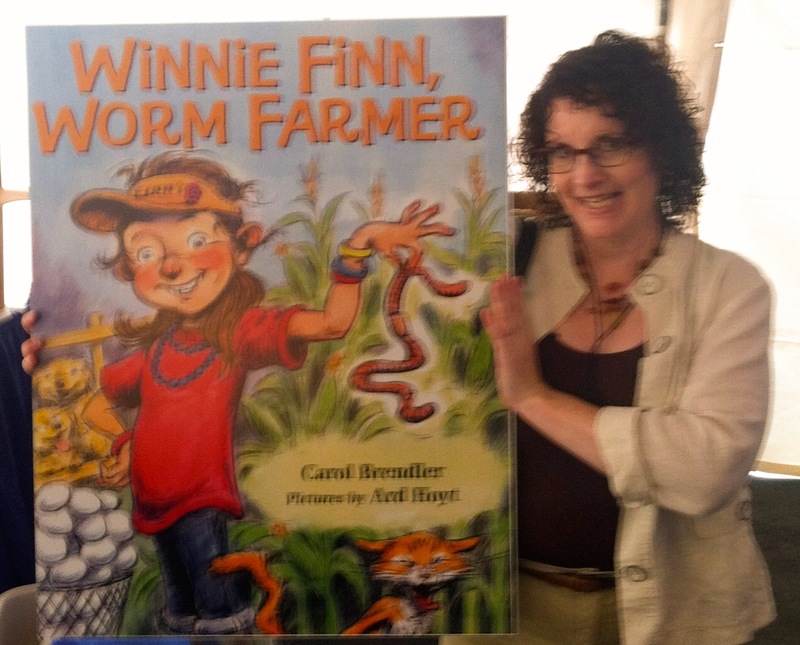 I’ll be signing copies of (and bookplates for) Winnie Finn, Worm Farmer! 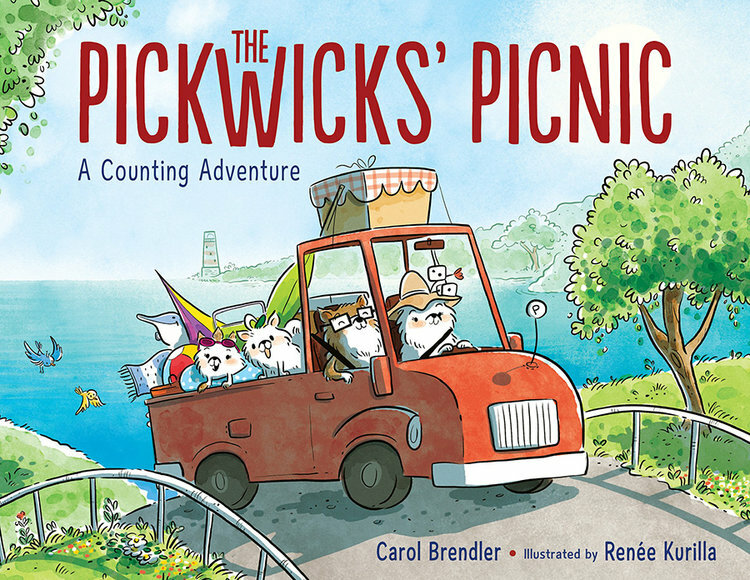 Also, if you stop by before 1:00, you have a chance to meet YA author Joan Bauer, who will be the featured author Saturday morning. Far out! Lt. Governor Simon is encouraging you to discover Illinois authors. 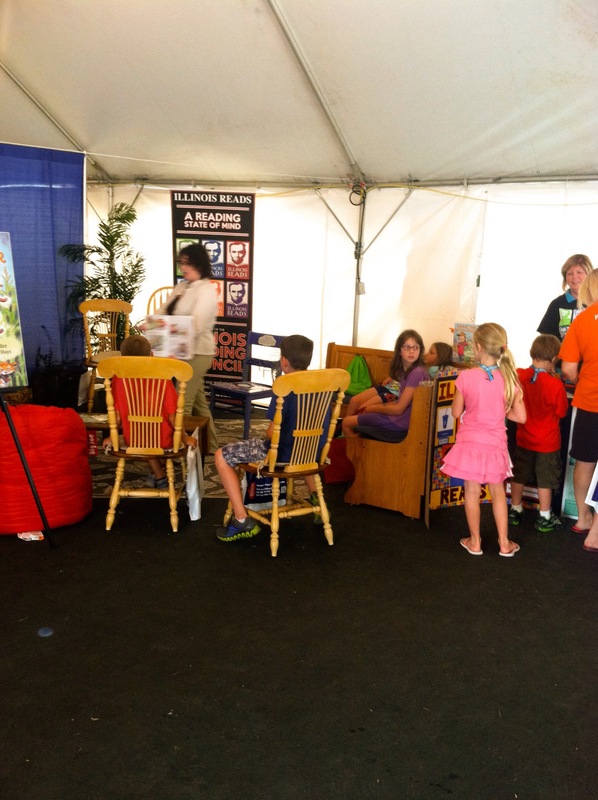 As an ambassador for Illinois Reads, her tent will feature books for all ages by Illinois’ exciting authors. Follow the Lt. Governor’s Facebook page to learn times for featured readings. 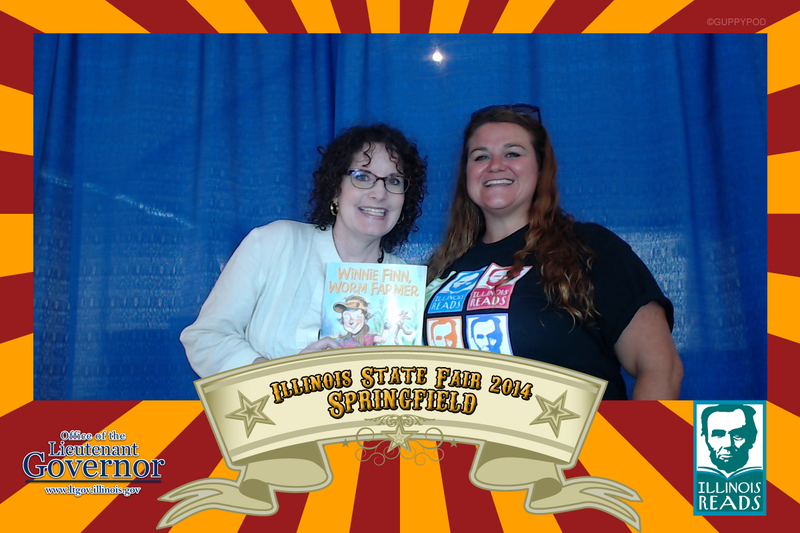 While at the Lt. Governor’s tent, be sure to register for her daily book giveaway, pose in her free photo wall and check out the typewriter used by one of our state’s most prolific writers, U.S. Sen. Paul Simon. Do you need to first clear space on your bookshelf? 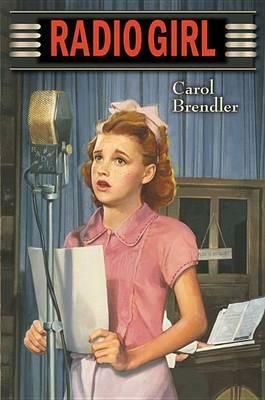 Donate any new or slightly used books to her book drive.